Previous Post We have snow! Your pictures are wonderful, and as a fellow gardener I can’t wait to get home and start sowing ! Thanks for your visit to my blog, Stacey! I love being able to look at other people’s blogs. I enjoyed your pictures. What are you starting in this picture? Onions? This is chives and garlic chives! 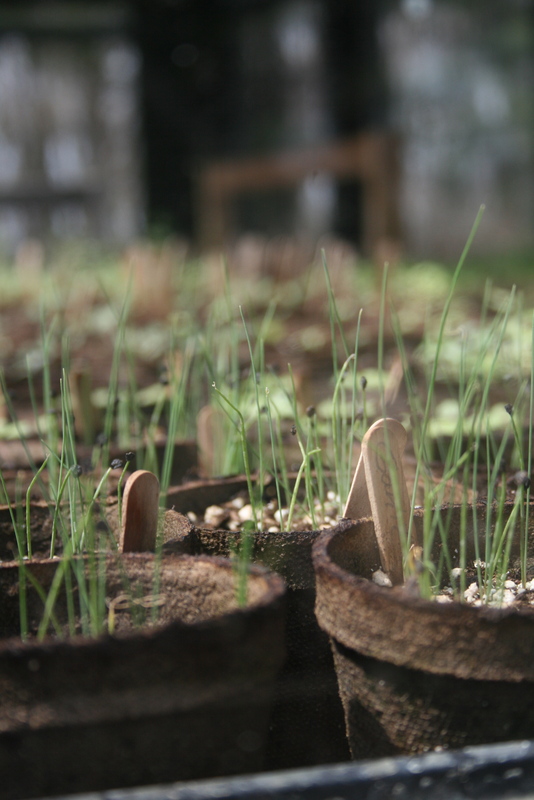 Last Spring I grew close to 5000 seedlings. I used every square inch of the little greenhouse!